Łukasz Niesiołowski-Spanò, Ph.D. (2002), Habil. (2013), Assistant Professor in the Institute of History, University of Warsaw. Specializes in history and religion of Ancient Palestine, and Biblical historiography; recently published extensively on the Sea Peoples. Published a book: Origin Myths and Holy Places in the Old Testament. A Study of Aetiological Narratives, (London: Equinox, 2011); Goliath’s Legacy. 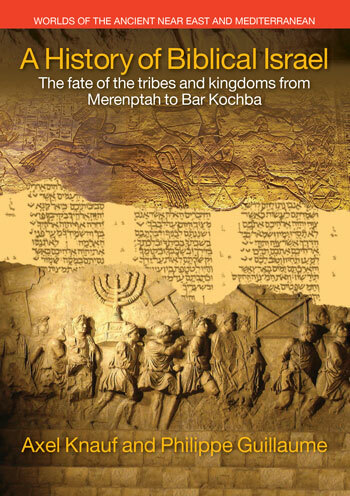 Philistines and Hebrews in Biblical Times (forthcoming). Editor-in-chief of the “Palamedes. A Journal of Ancient History”. Jim West is Professor of Biblical Studies at the Quartz Hill School of Theology; Lecturer in Reformation and Biblical Studies, Ming Hua Theological College; Pastor of Petros Baptist Church, Petros, Tennessee. Chiara Peri, PhD. in Hebrew Studies (University of Turin), is an independent scholar. She has taught Semitic Philology at the Faculty of Arts (“La Sapienza” Rome). Her fields of interest are Hebrew Bible and History of Religions. She now works for Jesuit Refugee Service. In recent years the critical approach to biblical ‘Ancient Israel’ and to the Bible as ancient text has undergone considerable change. This collection of essays, inspired by the work of Professor Giovanni Garbini, showcases scholarship which characterizes the new approach. The papers collected in this volume focus on methodological and historical topics related to the study of the history of ancient Israel. They represent biblical and historical studies, or present the joining of the two fields together, with the aim of shedding new light on biblical material. 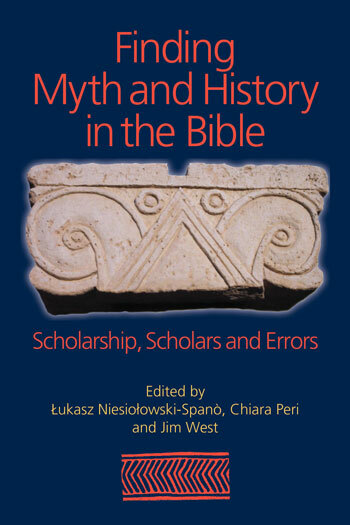 The contributions by leading scholars in the field of Biblical studies offer new readings of disputed texts, new methodological tools for study of the ancient world inhabited by an entity called ‘Israel’, and a variety of reinterpretations of biblical texts. The essays collected in this volume focus on methodological and historical topics related to the study of the history of Ancient Israel. Contributors offer readers new readings of disputed texts, new methodological tools for study of the ancient world inhabited by an entity called âIsraelâ, and a variety of reinterpretations of biblical texts. Edited by Lukasz Niesiolowski-Spano, Chiara Peri, and Jim West contributions by Thomas L. Thompson, Philip Davies, Niels Peter Lemche, Etienne Nodet, Mario Liverani, and many other leading academics are included. Thomas Thompson begins the collection by offering his own take on the development of the study of Israel’s history: a ﬁeld to which Garbini has contributed massively and inﬂuentially. Francesco Bianchi (Ph.D., Hebrew Studies University of Turin) is an independent scholar. He has taught Hebrew Language and Literature at the Faculty of Arts (“La Sapienza” Rome) and Modern Hebrew Language and Literature at the Faculty of Oriental Language in Rome. He has written and lectured extensively on the History, Literature and Epigraphy of Judah in the Persian Period, on the Wisdom Literature (Qohelet), on the Apocrypha and the Dead Sea Scrolls, on the Jewish Christian debates in the Middle Age and on the Modern Hebrew Poetry. Garbini’s huge bibliography also has a room for Modern Hebrew Poetry, as a short note about ‘On the Hills of Jerusalem’, one of the most famous lyrics of Israeli poetess Lea Goldberg. Building upon it, this paper examines afresh the poem and highlights as L. Goldberg’s poetry and self betrays a strong opposition between Israel’s heated and rocky landscape and that of the native Lithuania, rich of woods, rivers and snow. Furthermore, the poem also reveals another opposition between the society and the country in which the poetess came to live and the European Cultural and artistic heritage that she left behind her. Eventually the poem also shows the deep influence that the Song of Songs had on the poetry of L. Goldberg. Thomas M. Bolin is Professor of Religious Studies at St. Norbert College, De Pere, WI. He works in the areas of ancient Israelite history and wisdom literature. This essay re-examines the philological and exegetical issues surrounding Job’s final speech in 42:1-6 and in particular his final clause in verse 6. While some modern commentators have argued that Job’s final statement is an act of defiance, such a claim is more likely an anachronistic attribution of individualism to Job. Looking at the transition between the speeches of Yahweh and the epilogue, the article revives the argument of Richard Simon that Job’s final speech is a later insertion. Philip R. Davies, who died in 2018, was Professor Emeritus of Biblical Studies at the University of Sheffield. Educated at Oxford and St Andrews, Scotland, he edited, authored or co-authored 37 books on the Dead Sea Scrolls and various aspects of interpretation of the Hebrew Bible, including In Search of Ancient Israel (1992), Whose Bible Is It Anyway? (1995), Scribes and Schools: The Canonization of the Hebrew Scriptures (1998), The Complete World of the Dead Sea Scrolls (2002) and Memories of Ancient Israel: An Introduction to Biblical History (2008). He was co-founder of Sheffield Academic Press and former President of the British Society for Old Testament Study and European Association of Biblical Studies. The Siloam tunnel and inscription, long assumed to have been created in the reign of Hezekiah, has been the subject of intense scrutiny since the publication of an article by Rogerson and Davies (1996). The reaction to this article is reviewed, along with recent archaeological excavation at both ends of the tunnel, and the conclusion drawn that ‘assured results’, such as Hezekiah’s commissioning of tunnel and inscription, are far from assured and that scholarship always needs to question its own presuppositions and methods—a lesson that Giovanni Garbini has always taught. Giovanni Deiana has taught biblical languages and biblical theology at the Pontifical Lateran University and at the Pontifical Urbaniana University. He is currently Professor Emeritus at the Pontifical Urbanian University. He has authored numerous works, including a commentary on Leviticus. He also collaborates with Biblica and Rivista Biblica Italiana. The article discusses Garbini’s claim that Hezekiah’s destruction of the Brazen Serpent made by Moses would have been inconceivable in the Jerusalem of the second century BCE. It is suggested here that the destruction is indeed conceivable as part of Jerusalem’s composition of the Prophetic collection besides the Torah. Ingrid Hjelm is Associate Professor at the Department of Biblical Studies, Faculty of Theology, University of Copenhagen. She is the author of Jerusalem’s Rise to Sovereignty: Zion and Gerizim in Competition (T&T Clark International, 2004) and The Samaritans and Early Judaism. A Literary Analysis (Sheffield Academic Press, 2000). She is general editor of Copenhagen International Seminar Series. This article sketches Jerusalem’s status and development from the sixth century BCE to the Bar Kochba revolt and discusses argumentation for Jerusalem’s sovereignty in Jubilees, Eupolemus and 1 Maccabees. From the time of the Seleucid takeover Jewish authors fostered ideas of independence and dreams of ‘the twelve tribes’, and ‘the Promised land given to the fathers’. Literature of the 2nd century BCE elaborated on utopian visions of nationalism and greatness in Prophetic writings, and Jerusalem and its temple were made the most important symbols of national political independence. Jewish authors’ retelling of the past with interest in national, territorial, cultural and religious matters also implied ideas of cult centralization, which, during the expansion of Jewish borders, became disastrous for other Yahwist cult places. Niels Peter Lemche, Born 1945. Cand. theol. the University of Copenhagen 1971, Dr. theol. University of Copenhagen 1985 (thesis: Early Israel: Anthropological and Historical Studies on the Israelite Society Before the Monarchy). Professor of theology, the University of Copenhagen 1987-2013. Co-founder of the “European Association of Biblical Studies”, and founder and editor of the “Scandinavian Journal of the Old Testament”. Mario Liverani is Emeritus Professor of “History of the Ancient Near East” in the University of Rome “La Sapienza”. Member of the Italian National “Lincei” Academy, honorary member of the American Oriental Society. His most recent book is Immaginare Babele (2013); his general handbook Ancient Orient is now available in English translation. The article deals with some enigmatic toponyms, some of them very famous, others known just to a few scholars. It provides either the etymology (for Pi-sidqi and Minoa), or the identification and location (Tahta = Akhetaten), or the original meaning of a name which is quite alien to its subsequent vagaries (Atlantis). It could prove interesting to eventually develop the suggestions about Minoa and Atlantis, in laying a new basis for two never-ending debates. The book of Genesis narrates the creation of man and woman in two stories that modern criticism ascribes to different authors and periods. The centre of the first story (P) is creation of humanity as an image and a representative of God on earth, like the king in Near Eastern and Egyptian culture. The example of Egypt shows that this pattern, though rarely, could be applied also to women. The very syntactical structure of Gen 1:27 emphasizes human sexual differentiation in contrast with a God seen as male for historical reasons – he had probably a goddess wife in pre-exilic times – and symbolic ones – he is the ‘bridegroom’ of Israel. In the second narrative (J) God creates first a male individual and then animals and a woman as his helpers. In the combination of the two narratives made by ancient Jewish interpreters, God created the male only as ‘His image’. According to Bereshit Rabba, God created first an androgyne and divided him afterward in a male and a female part, as in Plato’s Symposion. Another tradition recorded by the same midrash explains Gen 1:26f. not as an alternative narrative of man’s creation but as the generation of every man as an action shared by God and human parents: a part of this argument, perhaps with a different meaning, appears also in 1 Cor 11:11-12. Étienne Nodet o.p. is a French dominican priest, is Professor of Intertestamental Studies at the École Biblique, Jerusalem. His main project is a new edition of the Jewish Antiquities of Josephus. This “highway” has a lot of “exits”, hence several books and articles on Biblical, Jewish and Christian topics. I suggest a historical outline in the Hellenistic period in six steps: on the identity of the Egyptian Moses; on a definite Egyptian connection; on Babylon and the Pharisees; on the non-lunar calendar common to the Sadducees and Essenes; on the Essene components in Rabbinic traditions; and finally, on the Essenes as heirs of the Egyptian Therapeuts. Ida Oggiano is researcher at the Istituto di Studi sul Mediterraneo Antico (CNR) and teacher of Archaeology and Geography of Ancient Near East at the Pontificio Istituto Biblico in Rome. She is co-director of the archaeological mission of Kharayeb (Lebanon), a cult place of the Persian and Hellestic periods. Her research interests are the archaeology of the Levant of the first Millennium. She published the book Dal Terreno al divino. Archeologia del culto nella Plaestina del I millennio (Roma: Carocci editore, 2005), and with Tatiana Pedrazzi, La Fenicia in età persiana. Un ponte tra il mondo iranico e il Mediterraneo, (Pisa-Roma: Fabrizio Serra Editore, 2013) and Phoenician presence in Sardina. The aim of this study is to investigate the relationships between the western “colonial” Phoenician world and Achaemenid Persia, pointing out the pivotal role still played by the Levant, as foreseen by Giovanni Garbini in several occasions. The chronological context embraces the 6th century and the first half of the 5th, when deep and continuous exchanges occurred on a broader level among Phoenicia, Cyprus, Egypt and the Phoenician “colonies”. It was a period of renewed circulation of people and products, as well as ideas, words (scantly known) and images. The contacts between East and West are particularly reflected in certain official aspects of colonial life, from the political and administrative organization (as derived from the Persian administration or from the organization of Phoenician centers like Sidon), to the urban planning and religious practices (sharing some specific deities, some cultic structures, or some cultic objects or images). Nevertheless, the results of this study indicate that the development of local western costumes and material culture show regional traits, and testify an ethnic and social composition within the colonial population, especially its lower class, organized on regional bases and distant from the Eastern world. Fabrizio Pennacchietti studied with Giovanni Garbini at the Università di Roma “La Sapienza” (1959-1963). He was the General Secretary of Istituto Italo-Iracheno di Archeologia di Bagdad (1969-1974), and Professor of the Semitic Philology at the Università di Torino (1979-2009), now emeritus. He is also a Corresponding Member of the Accademia delle Scienze di Torino. The Hebrew dual noun obnayim occurs only twice in the Old Testament, namely in Exodus 1:16 and in Jeremiah 18:3. The context of Jeremiah 18:3 suggests that obnayim means “potter’s wheel”; on the contrary the meaning of obnayim in Exodus 1:16 is not so clear, even though this word undoubtedly refers to childbirth. Because obnayim shares with eben “stone” the root /’BN/, Old Testament exegetes supposed that this noun means “two stones” or “something formed by two stones”. Therefore obnayim “potter’s wheel” of Jeremiah 18:3 has been explained on the basis of the presumed likeness of that tool to a pair of grindstones. Nevertheless the Hebrew language, unlike the North Western languages of Europe, expresses the concept grindstone by a word that has nothing to do with “stone”. All the same, having interpreted the obnayim of Exodus 1:16 as a birthing stool, Old Testament exegetes claimed that in times past the birthing chair too consisted in two adjoining stones or bricks. Nevertheless, unlike the North Western languages of Europe, Hebrew expresses the concept brick by a word that with “stone” has nothing to do . In this paper obnayim is regarded as a noun deriving from the root /’PN/ “to turn round, to rotate”, with the basic meaning of “a pair of disks”. Such are the wooden disks of the potter’s wheel and suchlike presumably was in ancient times the seat of the birthing stools: two adjoining wooden (half-) disks. Emanuel Pfoh, Ph.D., teaches in the Department of History of the National University of La Plata and is a researcher at the National Research Council (CONICET), Argentina. His publications include The Emergence of Israel in Ancient Palestine: Historical and Anthropological Perspectives (Equinox, 2009), Anthropology and the Bible: Critical Perspectives (edited for Gorgias Press, 2010), and The Politics of Israel’s Past: The Bible, Archaeology and Nation-Building (co-edited with Keith W. Whitelam for Sheffield Phoenix Press, 2013). His research interests are the historical and political anthropology of Syria–Palestine in the Late Bronze Age, the history of Israel and Palestine in the first millennium BCE and the politics of biblical scholarship. How do we interpret biblical stories, or better the intellectual world assumed by biblical stories? How to understand biblical sources from a critical epistemological and methodological outlook? How to proceed in order to produce a sound historiography of the world of biblical literature and the past of ancient Palestine? My interest in the present contribution is not to sift history from ideology but rather to investigate whether history can be found behind (or inside) mythical evocations in the Bible or not. Reading the Bible primarily as history is highly problematic since it excludes not only the possibility of grasping the mythic character of ancient Near Eastern stories, but also creates virtual pasts, rationalistic paraphrases of ancient worldviews expressed in those stories. This paper, therefore, attempts to establish an epistemological awareness and as such it proposes only critical observations for doing history and interpreting ancient texts. The “biblical” identity of Ancient Israel is a historiographical construction, based on a particular self-consciousness of a people ethnically distinct from the others. This idea of ethnicity is therefore symbolic. We would try to trace the origin of such ethnical identity in some texts of the jewish apocryphal (or deuterocanonical) literature (Ben Sira, Tobit, Judith, Esther) and in the “national” historiography of some Judeo-Hellenistic authors. Giovanni Garbini is not simply a scholar who writes important books which address important issues, he is also a correspondent who discusses scholarship and life. This essay is devoted to that aspect of his biography. Overall, I highly recommend this volume. After reading the basic summary of Giovanni Garbini’s ideas, it is clear how each contributor reflects such a critical tradition. Likewise, the final contribution by Jim West, letters by Giovanni Garbini to West, helps to paint the full picture of a man who seeks truth and understanding of the reality of history, not the ideological hopes projected upon the past. Each author expertly writes in the spirit of Garbini and provides a valuable contribution to a wide range of specializations of Biblical Studies within this volume. And for $34.95, this exquisite quality of contributions that become available to reader make the volume worth its weight in gold. There is a formidable array of scholarship with an extensive array of references and bibliography after each article. This book should help to cool the animus between those who take the historicity of the Bible as the point of departure and those who demand physical and tactile evidence from contemporary sources. It also raises the question of the meaning of myth in relationship to history for much further exploration.